Drivers purchasing a new or pre-owned vehicle from Auto Haus VW in Winnipeg will be pleased to know that we offer a Lifetime Engine Warranty, which you won’t find at any other dealership. We recondition all of our used cars too, so our customers know they’re getting a vehicle that will not only run well, but will also receive the attention it requires when brought in for affordable regularly scheduled maintenance. The vehicle must have less than 160,000 km on the odometer at time of purchase. The vehicle must receive regular maintenance services from any Auto Haus VW dealer, including oil changes every 5,000 km and tire rotations every 10,000 km. High-performance vehicles or those with diesel engines are not eligible to receive the Lifetime Engine Warranty. There is no charge out of pocket for any engine service under this warranty, but there is a $200 deductible per repair visit. Having this warranty for your new or pre-owned vehicle presents many advantages, as engine repair services can be quite costly. This coverage is offered through First Canadian Protection Plans. 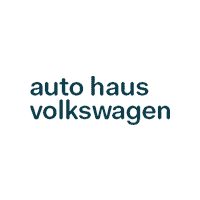 At Auto Haus Volkswagen, our certified and experienced automotive technicians are readily available to help solve any automotive issues you might be having. Drivers can turn to our team for their next routine oil change, tire rotation or any general maintenance their vehicle needs. Multiple service bays allow us to work on many vehicles at once for reduced wait times and easier scheduling, and you can make an appointment online by filling out a service appointment request. To get the Lifetime Engine Warranty and unprecedented automotive service, visit our dealership! For a test drive appointment in one of our pre-owned vehicles or to ask any questions you might have, give our sales team a call at 204-813-6141 or visit us at 660 Pembina Hwy in Winnipeg. We look forward to serving you!